We have accumulated a good quantity of records over the years. These are stored at the Village Centre and can be accessed by arrangement with Wendy Stacey – contact details below. Link to the Ashurst Wood Historians Homepage. All meetings are at St Dunstan’s Hall and start at 7.30pm. 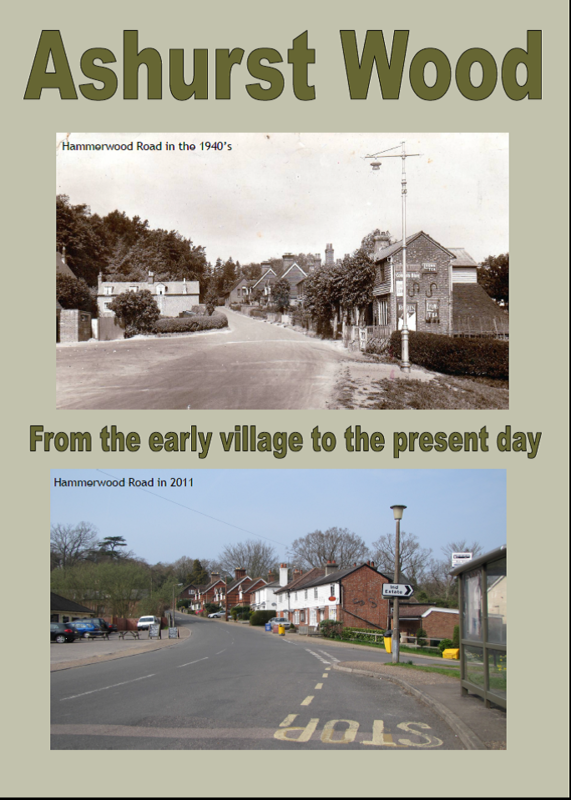 Our latest book published in 2011 covers the history of the village from the early times up to the present day. It is full of fascinating information going back to around the time of the Domesday Book. For people interested in timber framed houses there are a number in the village dating back to between 1300 and 1700 and there is a whole section on these. For those interested in social history there are chapters on how the village developed and the social life of the village from the 1800s, on local industries and on some of the people who helped to shape village life. This Costs £5. Our earlier book “Ashurst Wood in the 20th Century” is available at the reduced price of £2 and the Village Map that we published to celebrate the Millennium is available for £4. You can purchase these two items together for £5. All these items can be purchased from the News Store in Hammerwood Road, Ashurst Wood, or by contacting Wendy Stacey.